Here's a confession: I can't have jars of Nutella in my house. I just cannot resist getting out a spoon and digging in (Seriously, I'm not exaggerating, I borrowed a jar of Nutella from a dear friend in order to create and test this recipe)! I absolutely am in love with these tiny cupcakes! No one will be able to resist their charm and taste! And they're so quick and easy! And for me, eating one of these little guys is pretty similar to digging into a Nutella jar with a spoon. Be sure and tell us what you think after you have tried making them! Heat the oven to 350 degrees and grease a mini-muffin pan with the butter. 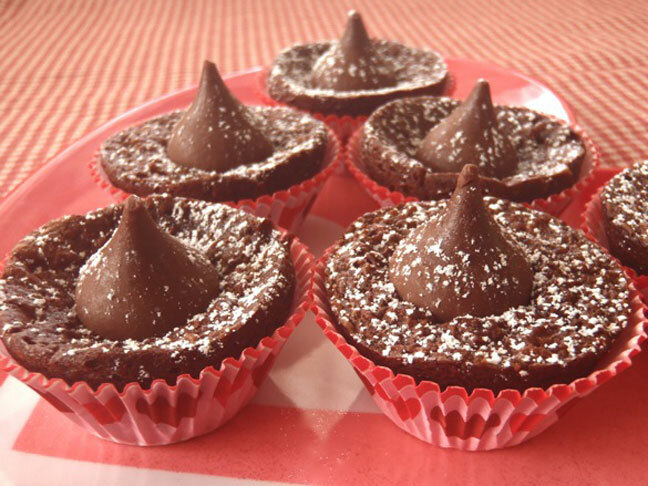 Unwrap the chocolate kisses. Set the pan and kisses aside. In a small bowl, mix the Nutella with the cocoa powder and egg until well blended. Bake in the preheated oven, just until the batter solidifies, about 11 minutes. 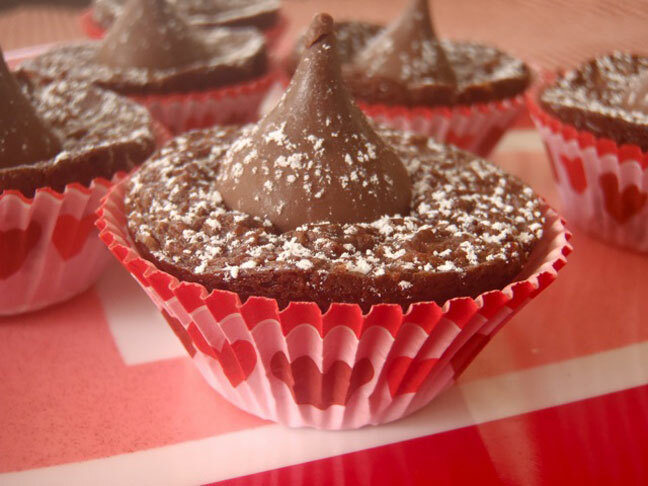 Remove from the oven and immediately top each one with a chocolate kiss, gently pressing them into the cupcakes. Once the tiny cupcakes are completely cooled, sprinkle with powdered sugar and put each one in a small truffle/muffin paper cup. I don't bake these directly in the truffle/muffin paper cups because these cups lose a bit of their color in the oven. The paper cups look much prettier if you add them after baking.